This is a special time-limited Event, throughout which you will receive Artifacts for each purchase you make. 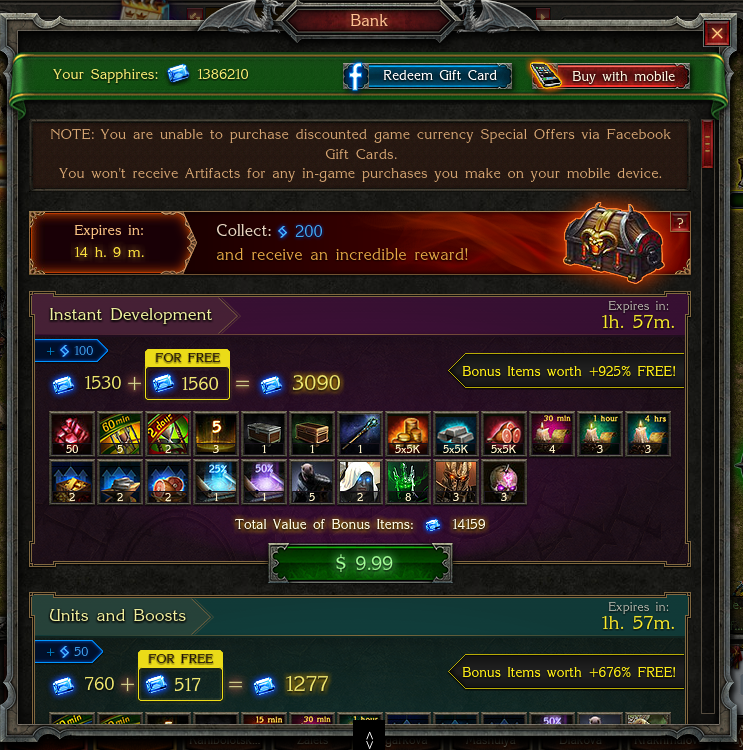 Artifacts are special points that you receive for each purchase during the Event. Where can I find my Artifacts? There is no bar that indicates your total number of Artifacts. However, you can track the Artifacts you need till you can collect your next reward at your in-game Bank. What is a Trunk of Power? Once you have collected the required number of Artifacts, you shall receive a fantastic prize – a Trunk of Power! How can I find and open my Trunk of Power? Once you earn a Trunk, you may open it to start using the Items within immediately or, if you prefer, later. Your Trunks are stored at the Black Market. 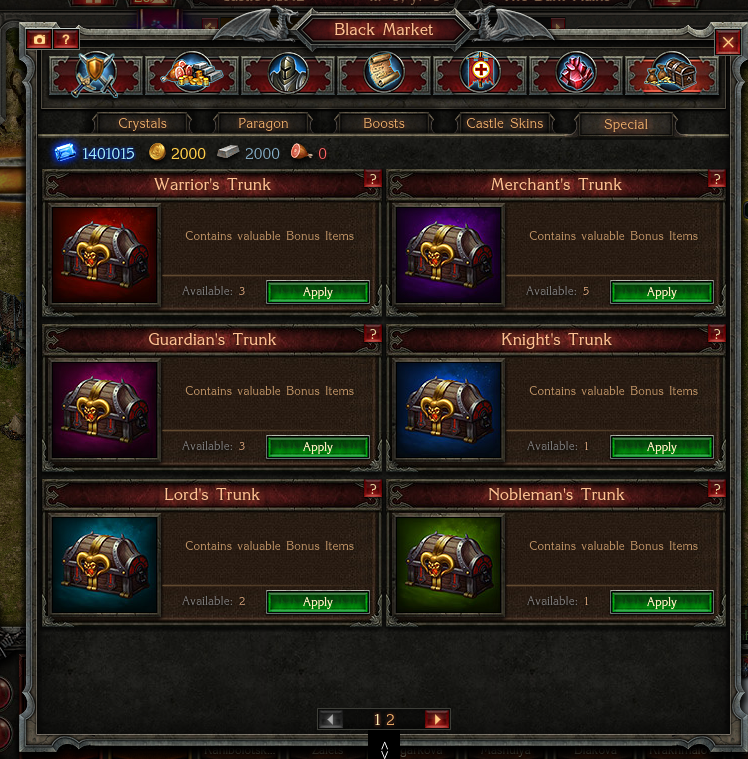 Once you click on the "Open Trunk" button, all Items within will be added to the appropriate tab at the Black Market. If you close the "Congratulations!" 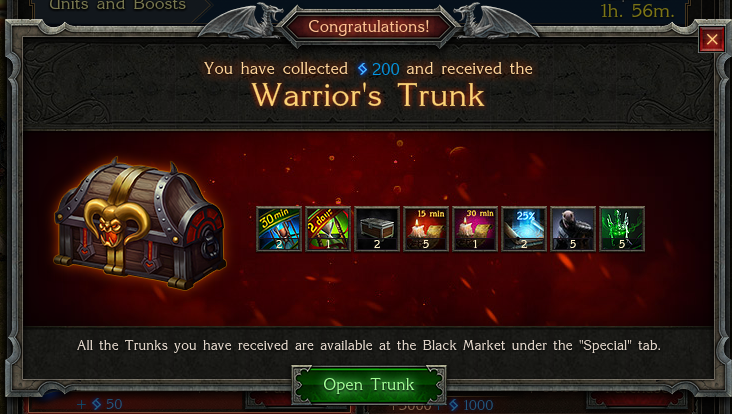 pop-up window, the Trunk you earned will be stored at the Black Market. You may find it under the “Special” tab. Yes, all Artifacts you have accumulated will vanish when the Event is over.